ezTask | Websites for K-12 Education & Local Government -- total web solution! Your website is an investment that should grow and evolve right alongside you. From where you are today to wherever you're going, we'll be there each step of the way. Your total satisfaction is top priority and our promise to you. A look and feel that is a perfect fit and uniquely yours. Go from step one to live efficiently and painlessly. State-of-the-art security and 100% uptime SLA. Outstanding support and total assurance with ez365 Protection™. We don't stop until you're absolutely thrilled. Guaranteed. 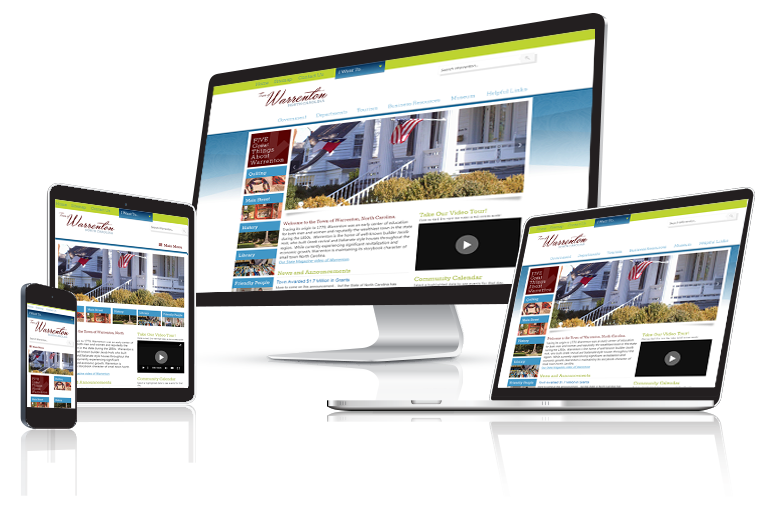 Built-in responsive design means that your website is beautiful and easy to navigate, no matter the screen size. Menus, forms, pictures, and more self-optimize for flawless browsing from any device. Whether your visitors are browsing from a 4-inch smartphone, a 12-inch tablet, or any device in between, you can meet them where they are with mobile-ready design. your website has to do more than look sharp. that meets your visitors where they are. Whether you opt for full-service management of your website or to make changes yourself, with ezTaskTitanium™, you'll get the job done done faster, which means more time to do the things that matter most. You need service and security you can count on, and that is why we have partnered with Rackspace™, the #1 Managed Cloud Company. 100% uptime means your site will never be down, not even for a moment. "Pampa ISD made the switch to ezTask in the summer of 2015 as one of the first school districts to use ezTaskTitanium™. We have been very impressed with everything about it-- features, capabilities, ease of use, technical assistance. Your support staff has been incredible when I called with questions. Thank you for a great product." "Some people think all web developer and content management companies are alike and they are in many ways. I researched and compared companies that would best live up to my district’s current and future needs. ezTask significantly outperforms the others in terms of reputation, affordability and support. I recommend ezTask because of the quality and excellence of their product and accessibility of their support team." "We are really using the website for way more than I ever thought!! I’m asked on a weekly basis if we can do ‘this’ or ‘that’ on the website and I love to be able to say, 'Of course!'" "AWESOME!! You guys are the absolute best to work with." If you'd like to learn a little more but aren't quite ready to strike up a conversation, we understand. Tell us where, and we'll send some details to go! No inbox abuse, no spam. Ever. ezTask - Copyright © 2017. All rights reserved.